Open SharePoint designer > Connect to your site. In the Navigation area select “External Content Type“. From the top menu select “External Content Type” to create a new one. In External Content Type information, specify the needed information. Click on “Click here to discover external data sources“. Click “Add connection” and select “SQL Server”. Set the “Database Server” Name and the “Database Name” then click “Ok”. In Data Source Explorer, you should see your database. Select an object from your database that you want to use it as an external source. Right click on the table and select “Create All Operations”. And the SharePoint designer will create your list with full operations. 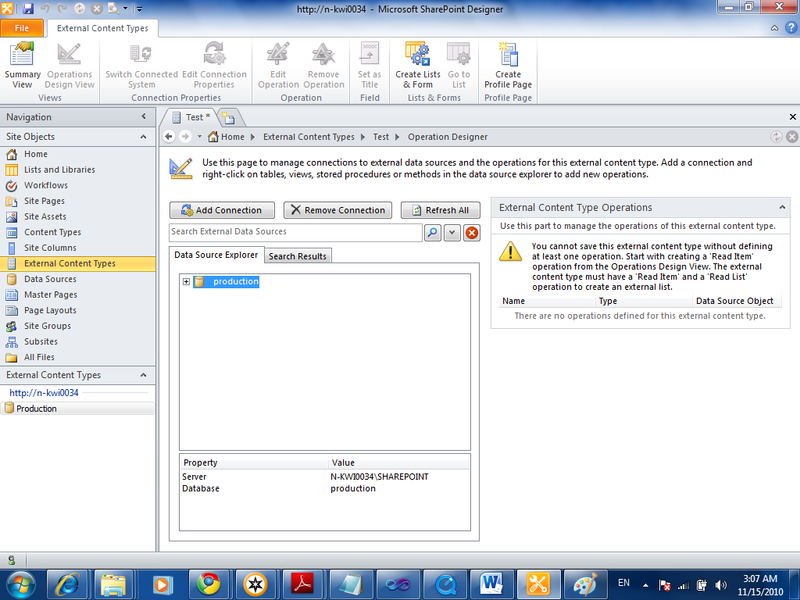 Access Denied by Business Data Connectivity in SharePoint. I am so grateful I found your web site, thanks for your effort!